Although confiscation of illegally acquired property and money is considered the most effective fight against corruption, Macedonia cannot even boast of such a thing. The model from Bulgaria for seizing illegally acquired property, considered successful, was offered to the country, but the then government of Nikola Gruevski did not accept it. Our research has shown that political will is still the key to this issue. Corruption is still the most profitable “business” in Macedonia. This is shown by facts and data in the country. The Agency for Management of Seized Property in the way it operates within the entire system shows poor efficiency, which can be illustrated, for example, by not being able to raise money for the costs it has, as much as its budget is. The value of money seized from criminal activities was the lowest in 2017. Last year, only 27 million denars (450,000 Euros) were seized. A lot more money was seized previous years. In 2016 1.2 million Euros were seized, while in 2015 over 5 million Euros. / table 1. Seized money by years/. The director of the Agency for Management of Seized Property, Faton Asani, has been in this position for about a year and says he found the Agency in a disastrous situation. “I found the agency neglected. I do not know how much the state paid attention. We strive to give the best with those capacities we have. We have 47 employees, 27 of whom are security”, Asani says. He adds that more than 15,000 vehicles have been found in the Agency for Management of Seized Property, as litigations lasted too long. Some of these vehicles have been here for more than 10 years. This year, for the first time, 100 vehicles of scrap metal were sold. According to the systematization, this Agency should have about 70 employees. 11 million Euros collected in the first year! The Agency for Management of Seized Property was set up in 2009 with the Law on Management of Seized and Confiscated Property of 2008, as a significant link in the fight against corruption and organized crime. First director of this agency was the lawyer Vanco Shehtanski. “I established the Agency in 7 square meters at the IT Center of the Ministry of Justice. There I was supposed to take over 14,000 criminal cases from all courts at once, and 11.3 million Euros were collected from the first 10 cases”, Shehtanski said. This number of seized property in 2010 and 2011 was confirmed by the current director Asani, who added that then he sold only part of the seized objects from 8-9 years ago. So far Asani has confirmed that the Agency, while he is the director, has collected over one million Euros from seized goods from criminal acts. But why are the effects said to be insufficient, although for the establishment of the Agency the intention was to use the model that operates in Bulgaria? According to Shehtanski, the Macedonian agency is the seventh such agency in Europe. All other agencies have been formed later as separate bodies. Shehtanski says that it was his dream to create an Agency following a Bulgarian model. “The Bulgarian Agency is the strongest in the region and I will not hide that it has been used as a model”, added Shehtanski. 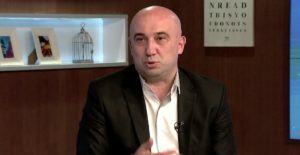 In 2009, Vane Cvetanov, then director of the Directorate for Money Laundering Prevention, went together with Vanco Shehtanski to visit the Bulgarian National Seized Property Commission. “At that time, we had a joint proposal with the then director of the Agency for Management of Seized Property Shehtanski and together we visited Bulgaria, the Commission on illegal asset forfeiture in favor of the state, known as the Kushlev Commission. We were thrilled to see how the Commission worked”, Cvetanov said. He adds that they proposed the introduction of this model here too. But from our knowledge, by exploring this issue, we came to the conclusion that in fact the model itself is different. In order to distinguish between the two models of Commissions, Inbox 7 went to Bulgaria. 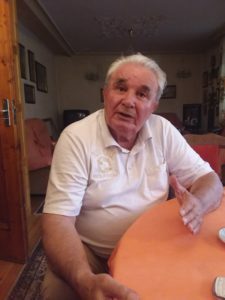 We had the first meeting on the Bulgarian side with Stoyan Kushlev, in his home in the small village of Mrchcalevo in the Sofia municipality of Vladaya. We found Kushlev on his birthday turning 80. “The idea of ​​blocking and seizing property is from the Americans. They had it 25 years before the Bulgarian law, it means somewhere since 1980. I am not pro-American, but for my work I have been awarded a gold badge of the US Federal Bureau of Investigation (FBI). I have a full uniform of the FBI. They helped me a lot in my work. Our Commission was very powerful in my time. I was at the same rank with the great European bodies for seizing illegally acquired property and I was the only one in Eastern Europe to have results at their level”, Kushlev said. He adds that this model was conveyed to Europe 10 years later. In Europe, confiscation of property acquired by money laundering appeared for the first time in Ireland. Veronica Guerin, research journalist, was killed there. At that time, as a result of the concern and search for a model for successful dealing with corruption in Ireland, the first Agency in Europe was formed. In Ireland, the property of a deputy PM and a foreign minister was confiscated. The Bulgarian Commission for confiscated property CONPI (“Commission for forfeiture of unlawfully acquired property”) was created according to the Irish model. The Irish Commission began its work on 15 October 1996. The Bulgarian Commission was established in 2005. France and Belgium have similar bodies, but not commissions or agencies. One of the creators of the Law for forfeiture of unlawfully acquired property is Krum Zarkov, former employee of CONPI. He is now the vice president of the Bulgarian Socialist Party, the largest opposition force in the Bulgarian National Assembly, where we had the conversation. 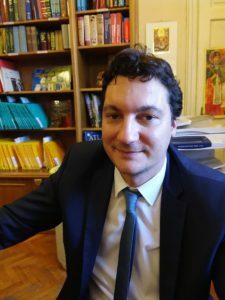 “The Bulgarian model of civil confiscation is unique and I do not think there is another similar model in another European country. Our model is completely separated from the legal process. When an indictment is raised against someone, the Commission commences an investigation not of the crime, but of his property 10 years ago from the moment of the criminal charge. Houses, cars, bills, money, family, close relatives, related companies are checked. If CONPI determines that there is a difference higher than 200.000 BGN (100.000 EUR) from the property he owns and legal income, it initiates a civil suit to confiscate that property without waiting for the verdict for his criminal act. The two procedures are fully separated. That is the idea of ​​the so-called civil confiscation”, says Zarkov. He thinks that if one goes along the path of money, it can be seen, for example, that a traffic policeman has built a palace or a young man rides an “expensive car” and parades with large property. It is immediately noticed that something is wrong and the question arises: “Do you have a real income for that money” as Zarkov says. If no legal sources can be found, it can be assumed that they come from a criminal activity. This is a very powerful tool to fight corruption, but it is not enough. Corrupt people have to go to prison, says Zarkov. Fight against corruption has two aspects: one is the criminal prosecution and the prison sentence, and the second is the seizure of illegally acquired property. One of the most effective methods of fighting corruption is the prosecution of criminals’ property, because corruption is very difficult to prove the crime. It is hard to prove, because both the giving and the taking person have an interest in keeping it secret. And the second reason is that if one falls, it is likely to withdraw the other, Zarkov believes. Kushlev transformed CONPI, as set up in the beginning, with this mechanism of separation of the criminal procedure from the citizen for the seizure of property, into a deed. “When I started work on CONPI, the Romanians had nothing. They twice came to me to learn how the Bulgarian commission for forfeiture of unlawfully acquired property works. They were really behind us. Even after the appointment of Laura Kovesi, and after my departure from the Commission in 2011, they went far, far ahead of Bulgaria”, Kushlev said. He adds that he has seized property of 14 mayors who had acquired property from committing crimes, eight MPs, and several ministers were also his “clients”. “There was an interesting case when two MPs from the DPS (Turkish party in Bulgaria) took BGN 1 million from the European funds, went to Istanbul and lost them gambling. How can I forgive them? They made forged documents that they had built a road in Bulgaria for those BGN 1 million, but there is no road. We had at least 5-6 former ministers with seized property. Prosecutors and judges protected each other a lot. They never allowed their man to be charged”, Kushlev recalls. But as it is now, and according to the interlocutors, CONPI no longer works effectively, we asked those responsible who are currently in that body for a statement. Despite the promises, they did not respond to our request. We wanted to see how the regional offices of CONPI in Sofia and Blagoevgrad function, but they did not want to talk to the team of Inbox 7. Unlike the Bulgarian model, the Macedonian system of seizure of property is different even though Shehtanski and Cvetanov wanted to learn and apply it. According to Slagjana Taseva, anti-corruption expert, the Agency does not have the necessary capacity for operation. “The Agency for Management of Seized Property is still a type of directorate in the Ministry of Justice, not a separate institution. It has no capacity to exercise its function. What they do is not at all in accordance with their law. They should manage the property that has been taken away or frozen”, says Taseva. “When the investigation starts, we should also locate property that we can seize tomorrow. This is done by the police, the Financial Police, the Money Laundering Prevention Directorate – in accordance with the Criminal Procedure Law this is conducted under the direction of the public prosecutor. Then the public prosecutor should propose to the court property that can be taken away in the criminal procedure afterwards. When filing the charges, they should write specifically, what they want to be confiscated, as it has been acquired by crime. They should accurately specify what is to be confiscated. All I have mentioned above does not work. We have it on paper, we have it in law, but we do not have it in practice”, says Taseva. She has participated in the preparation of the Financial Investigation Strategy. Our prosecutors and judges do not finish their work before, and when the verdict is ready, it is written, for example, 3 million denars are to be seized. It is neither written where from, nor account number, nor in what form. No one has previously identified the specific property and now the agency starts from the beginning. It will seek to see if the person having such a measure has something that can be taken away. It is not their job at all by law, Taseva says. It is the system that we have on paper, however, although we have many other laws, that system has not started functioning all these years. “We also have a Law on Money Laundering Prevention where it is said that politically exposed individuals such as Gruevski, to make any transactions from his accounts should be under special supervision, because they have special monitoring indicators. He and the persons associated with him. We have it on paper, but it does not function, the banks do not report, the Financial Intelligence Directorate has not received any information. We have laws, we have institutions, but the system does not work, because there is no political will to function. All these institutions are without capacity. Those who know are not allowed to work, and we have a problem in the Prosecution because they do not know the matter”, Taseva believes. 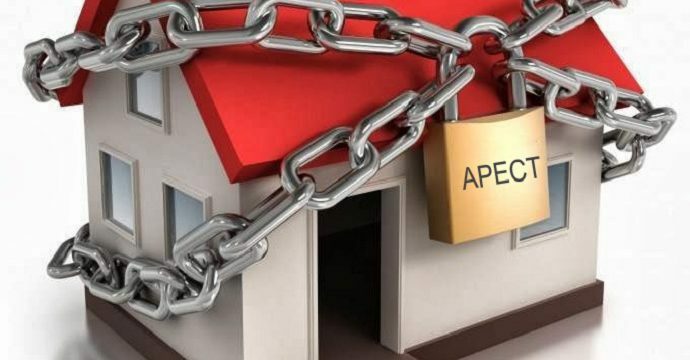 The mini check of the promise to change the specific law for property confiscation, which has recently been done by the fact-checking service “Vistinomer” shows that there is no willingness to change anything. Although promised in 2016 by SDSM, there has been no new law yet, and there have been no serious changes to the existing one. There has been only one change since being in power in April 2018, but the changes are only the members related to the terms of the post director. On the other hand, a countdown timer on Porta Macedonia in Skopje was promised in the pre-election campaign, which would register every euro seized in an unauthorized manner. In addition, SDSM in one way tolerates the complete blockade of institutions that play a very important role in the fight against corruption and are part of the system of anti-corruption institutions, such as the State Commission for Prevention of Corruption and the Commission for Protection of the Right to Free Access to Public Information in 2018. For almost a year, these Commissions have had no members and cannot pass decisions. Thousands of citizens’ cases are unresolved. The public deals with questions that ministers employ their close relatives in institutions, and the State Commission for the Prevention of Corruption does not have members to decide whether there are conflicts of interest. A resolution in the Parliament has been announced with the new draft law. In fact, our research showed that, regardless of the different model, politicians have been the biggest problem in the bodies in Macedonia and Bulgaria in implementing the law on seizure of criminally acquired property. “I fought terrible battles at the National Assembly when bringing the amendments to the law. I remember a supplement to the Law on seizure of illegally acquired property, passed at the Legislative Committee, but later the MPs got scared and voted against. I had huge resistance from MPs from all political parties”, Kushlev says. He believes that for this Commission to work, there must be political will. If there is no political will in the ruling party, the Commission cannot function. “In 2009, deputies in the National Assembly tried to vote for closure of my Commission. When I heard about it, I immediately informed the ambassadors of the European countries in Sofia. They immediately went to the President of the National Assembly, he called the chairman of the commission who drafted a law to close my Commission and thus I stopped that attempt…At the moment I left the Commission, I had cases for 8 MPs. Nobody put bigger pressure on me than the MPs. Ministers were not allowed to put pressure on me because I had full PM’s support. I worked with three PMs. Only once Boyko Borisov publicly called me to check the property’s origin for a scandal with customs offices in Pernik. I immediately answered that I could not act, because by law the prosecution had to file an indictment first, then I had to sign and block the property, but the prosecution did not file anything”, says Kushlev. He adds that if there is no political will, anti-corruption services cannot function. This is confirmed by Taseva, citing another fact. “The fact that we have had only 26 money laundering decisions since independence results from the lack of capacity. Prosecutors do not know, they are afraid and run away from that matter. We are a country where money is laundered, a country where money acquired from corruption is taken out, but the prosecution has no capacity”, Taseva says. The anti-corruption system does not work. Partly because there is no capacity, and there is no capacity because there is no political will. They do not allow these institutions to do their job. Politicians hold these institutions under control. They formally exist, laws exist, institutions exist, but there are no effects of their existence, Taseva believes. We also asked Director Asani whether the state really wants his agency to operate or it just obstructs it, and he gave us a diplomatic answer “that they cooperate with the authorities”. Unlike Bulgaria, where the fight against corruption showed how a top-level Commission could operate even in European terms, in Macedonia it did not see the light of the day. “In 2010, the initial estimates were that only in the Customs there were some 50 million Euros of confiscated property that had to be taken. First to be taken technically, to estimate it, then physical taking, then a procedure for alienation for bidding so that it is included in the budget of the Republic of Macedonia. It is a big procedure, it cannot be done by one, two or three people. It is a serious institution. I think that the state did not intend to establish such a serious institution, although the Republic of Macedonia would only benefit from it, but such as it was conceived, it has not started functioning”, Shehtanski said. Vane Cvetanov shares the same opinion, and says that after visiting Bulgaria with Shehtanski, they were delighted to suggest to the then Prime Minister to make the same model. “Delighted how it worked in Bulgaria, we asked for Prime Minister Gruevski’s reception, to present those successes, initiated by the good will and development of the anti-corruption system, to seek political support, that is, to offer such a body to be built, established in the Republic of Macedonia where some people would be appointed to conduct that procedure, because in the Republic of Macedonia there was no such body”, says Cvetanov. Shortly after this, they were both dismissed. “From June 15, 2010 to August 24, 11 million 300,000 Euros were seized, I was dismissed in on September 7, 2010 immediately after, so it was about 2.5 months of an effective job. From then on, I cannot comment on the results and the ways of doing it”, said Shehtanski. The research on this topic showed two key things. The first is that there is no effective fight against corruption without political will, including the seizure of property acquired in a criminal way. The second is that Macedonia may need to think about changing the model and introducing the Bulgarian one, although it will not help if again there is no political will to implement. The agency for management of illegally acquired property should have separate offices in the regions of the interior of the country. It is planned in both the Macedonian and the Bulgarian Commission, but unfortunately in Macedonia this Agency has never done it, although it was designed to function in regional centers, from 4 to 8 regional centers, but this was not accepted by the Government of Gruevski at that time. Unlike Macedonia, Bulgaria introduced regional offices since the very beginning. They had one office per 3 regions, totaling 11 regional offices. The number of employees in the Agency for Management of Seized Property is 47, unlike the Bulgarian which has about 300 employees. The journalistic text was written as part of the project Investigative Reporting to Boost Reforms with financial support from the European Union. The content of the text is the sole responsibility of the author and can in no way be considered to reflect the views of the European Union.